Different selections of EMF ceramic heaters. 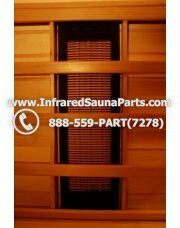 The lowest emitting style heaters available for infrared saunas. Ceramic heaters are heaters that generate heat by passing electricity through heating wires embedded in ceramic plates. Ideal for spot treatment.